and ford across the River Derwent. Just behind the church lies the old bridge which was built in 1603 and is the oldest bridge across the Derwent never to have been destroyed by floods. 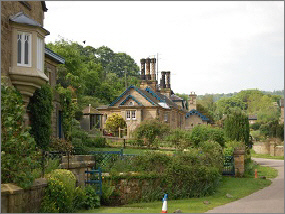 The eastern end of the village is called Nether End and contains an entrance to Chatsworth park. The area is popular with tourists and visitors to the village due to a concentration of hotels pubs and restaurants, tea rooms, a caravan site and a pedestrian entrance to Chatsworth Park. 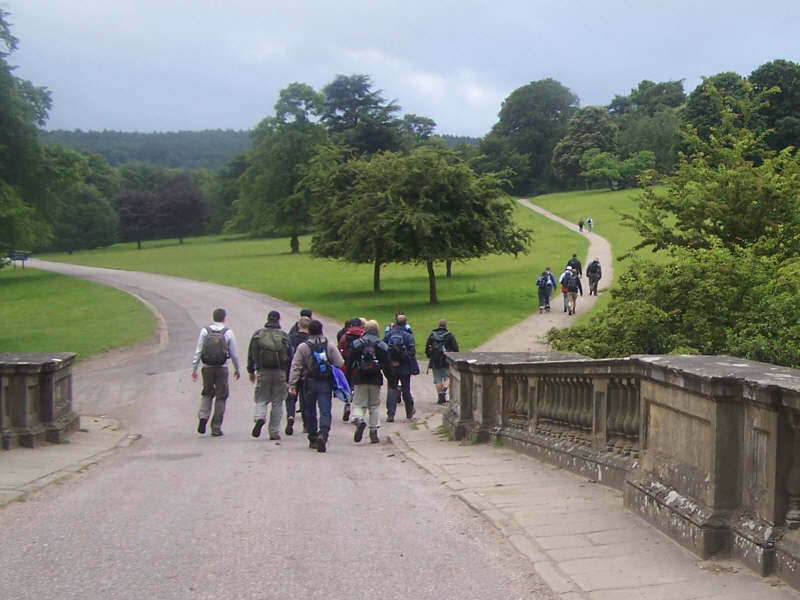 Although our ‘Chatsworth Challenge’ Walk has no specific route, and each of the two circular walks can vary from one event to the next, it starts and finishes in Baslow which is our home ‘port’ village and lies in the Derbyshire Peak District between Sheffield and Bakewell. Here are just some of the villages and places which our walks can sometimes pass through. Chatsworth House is a large country house 3 miles north east of Bakewell. It is the seat of the Dukes of Devonshire, whose family name is Cavendish. 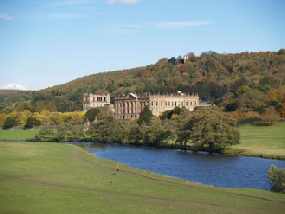 Chatsworth stands on the left bank of the River Derwent and looks across the river to the low hills that divide the valleys of the Derwent and Wye. The house contains a unique collection of priceless paintings, furniture, old Master drawings, neoclassical sculpture and other artefacts. Chatsworth's garden is one of the most famous in England, and Chatsworth has been selected as the United Kingdom's favourite country house several times. 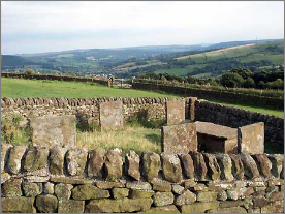 interfered with his view he pulled down the old stables and offices, but not happy with that he then razed the cottages of Edensor village which were visible from the house! He moved the villagers to the nearby hamlets of Pilsley and Beeley but the 6th Duke decided that in fairness he should rebuild the village in its entirety (but out of view of the main house of course). If you pass by the front of the house and look up to the woods beyond it is possible to see the hunting tower where wives, lady friends and children of invited guests would go to gain a superb vantage point from which they could watch the days hunting unfold down in the parklands. The first house at Chatsworth was built by 'Bess of Hardwick' along with her second husband Sir William Cavendish of Suffolk around 1552. The first Duke of Devonshire was created in 1694 and Cavendish is still the family name today. 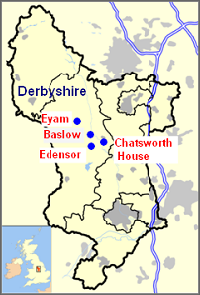 Edensor (pronounced Enzer) is the closest village to Chatsworth House and much of it belongs to the Dukes of Devonshire. to Chatsworth in the 18th century. Edensor's St Peter's church was expanded by Sir George Gilbert Scott for the 7th Duke of Devonshire in the 1860s. It contains a magnificent early 17th century memorial to Bess of Hardwick's sons, Henry and William Cavendish. Sir Joseph Paxton is buried in the churchyard, as is U.S. President John F. Kennedy's sister Kathleen Kennedy, who was married to the 10th Duke's eldest son, and who died in an airplane crash in 1948. Kennedy visited the grave during his presidency. It is perhaps sad that such a picturesque village nestling as it does in the heart of the Derbyshire Peak District should take its position in history as the place where such human suffering occurred in the 17th century. 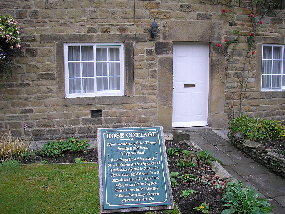 The Riley Graves at Eyam where Elizabeth Hancock’s husband and six of their children are buried. 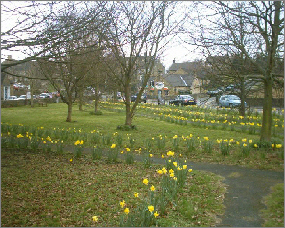 It is set in a small stonewalled area in a field to the right of the lane as you approach Eyam Village. by his assistant George Vicars who very shortly afterwards became ill and died a violent death. His death was followed very quickly by his two stepsons, Edward and Jonathan Cooper and his immediate neighbours and eventually by that of the tailor himself. 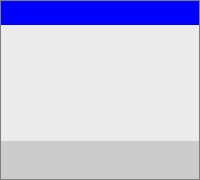 people died in the month. In the fourteen months that the disease lasted it claimed 260 lives out of a population of around 800. 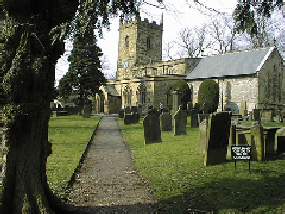 Under the leadership of the Rev William Mompesson and his predecessor Rev Thomas Stanley the villagers agreed to accept a strict quarantine in order to try and prevent the spread of the disease beyond the village boundary. They were supported by the Earl of Devonshire and by other charitable but less well off wealthy neighbours who provided the necessities of life during their period of isolation. park. 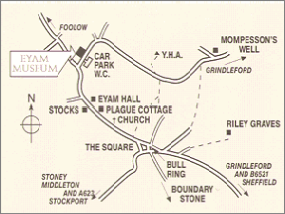 The museum explains the Eyam Plague story fully, and also looks at plagues more widely throughout history. It provides information about when and where it happened, where it came from, how it spread, and how many people were killed. possible to maintain corporate worship without being in close proximity with their neighbours. The provisions for the villagers were left on the village boundary where today there is still on the outskirts a location called the Boundary Stone where it is believed that money to pay for the provisions was left in small holes and covered in vinegar to cleanse it and hopefully stop the disease from spreading. Some people in the village were strangely immune to the plague and science has since shown that they had a particular chromosome which protected them from the infection. Indeed it has been proved that descendants of some of these people still live in the village today and still carry that same gene. The Plague ended in October 1666 and had claimed 260 lives in an 18 month period. 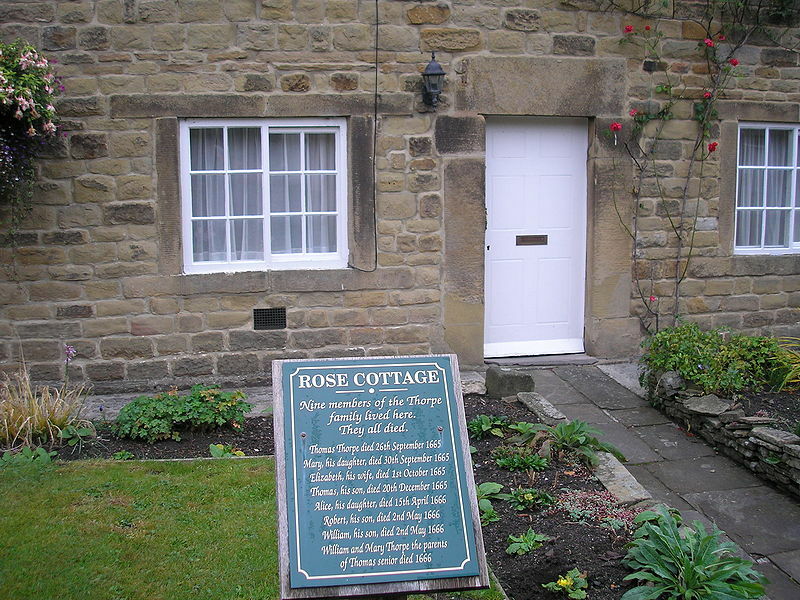 Some of the cottages now carry a commemorative plaque. At the Baslow end of the park is the large circular Cannon 'Kissing Gate' which was constructed in 1999. 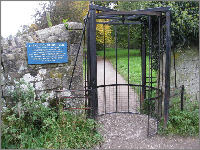 A kissing gate is a type of gate used between fields which allows people to cross but prevents animals from doing the same. Some say that the name derives from the custom and practice of the first person through the gate demanding a kiss from the person following before they would allow them through. Sadly it is more likely to be a reference to the touching of the gate parts when fully opened either way - a common term used in engineering. However, if anyone would rather believe the former explanation please feel free to demand your customary right from whoever is behind you! Good luck. 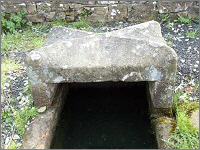 Mompesson’s Well at Eyam. 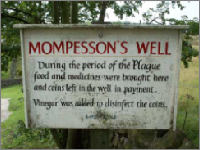 To minimize cross infection during the plague, food and other supplies were left outside the village, at either the Boundary Stones, or at Mompesson's Well, high above the village.